The 2016 legislative session closed with a whimper yesterday, with many lawmakers twiddling their thumbs waiting for the clock to hit noon so they could go home. In the end, Governor Martinez will receive this year around half the number of bills passed in the previous three 30-day sessions. Given that, it could be seen as a success that one good government bill is headed her way, HB 105, which requires more detail on lobbying expenditures and makes more user-friendly the Secretary of State’s online campaign finance reporting system. Another bright spot is the House of Representative’s decision to begin archiving public webcasts of their committee and floor debates. Otherwise, high expectations that the state legislature would pass significant ethics and transparency measures were dashed. State lawmakers largely sat on their hands. Perennial attempts to pass an independent ethics commission and to bring some sunshine to “dark money” groups crashed and burned. House Majority Leader Nate Gentry said time simply ran out to reach an agreement on more disclosure of campaign expenditures by independent groups, which had been approved by the Senate. “At the mad rush, at the 11th hour, we got it late in the game,” Gentry said at a post-session news conference. As for a House Joint Resolution to place an independent ethics commission before voters in the fall, Senators involved in killing it said they needed more time to be “deliberative” given it would have amended the state constitution. Both measures have been debated by the state legislature in various forms year in and year out for the past decade. And many thought 2016 would be the year lawmakers finally came to consensus on significant ethics reform, given several high profile scandals in 2015. In March 2015, state senator Phil Griego, a Democrat, resigned in the middle of the legislative session for allegedly using his elective office for personal gain. New Mexicans then closed out the year watching Secretary of State Dianna Duran, a Republican, resign and spend the holiday season in jail after pleading guilty to felony embezzlement of her campaign funds. In the wake of these incidents, polls conducted by Research & Polling, Inc., with business leaders as well as voters show high percentages strongly favor the creation of an ethics commission as well as other reforms. Perhaps feeling pressure from press reports after the ethics commission measure died in the Senate Rules Committee, Senate Majority Leader Michael Sanchez, D-Belen, committed to working on ethics legislation during his post-session news conference. What that means in reality is unclear. 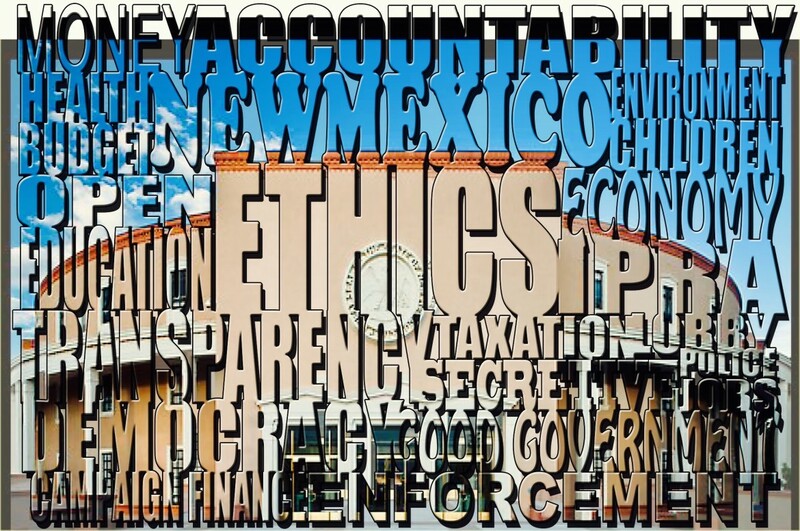 Both Sanchez and Senate Minority Leader Stuart Ingle, R-Portales, indicated earlier in the session they think the current Senate ethics committee–a body shrouded in secrecy because it’s closed to the public–works. “I think that we do a pretty good job of ethics here in the Senate and we’ve proven that in the last couple of years,” Sanchez told People, Power and Democracy reporter Gwyneth Doland. During a press conference held to discuss the failure of ethics commission legislation, Ingle said he thought the current system in which complaints are kept private works, holding up the job the Senate ethics committee did last year to investigate Griego as an example. “We had some ethics problems here last year. The Senate had probably as tough a situation as we’ve had in my thirty years of being here,” Ingle said about the decision regarding Griego that led to his resignation. 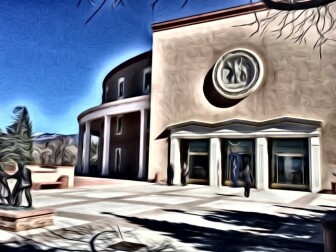 The Griego investigation was straightforward and thorough, Ingle said, who expressed concern that an independent ethics commission would lead to damaged reputations. Ingle stressed that ethics complaints have to be officially filed with the internal ethics committee in order for an investigation and possible action to be taken. Sen. Linda Lopez, D-Albuquerque, chair of the Senate Rules Committee, made similar comments in an interview with NMID’s Trip Jennings earlier in the week. “The only way something will come to light is if some member of our public sees it and is willing to stand up and come forward with a complaint,” Lopez said. Improved online campaign finance reporting, House Bill 105. Detailed lobbyist reporting, House Bill 137. Sen. Daniel Ivey-Soto told House sponsor Rep. Jeff Steinborn that House Bill 105 achieves the same aim. Asking voters to create an independent ethics commission, House Joint Resolution 5. Allowing the Secretary of State access to candidates’ bank accounts in campaign finance audits, Senate Bill 261. Archiving of all legislative webcasts, House Bill 301. Clarifying how candidates may spend campaign funds and prohibiting some expenses, House Bill 310. Requiring greater reporting of independent expenditures, Senate Bill 11. Preventing lawmakers from collecting salaries from other government jobs, House Bill 39. Stiffer penalties for public officials convicted of crimes, House Bill 260. Lowering interest rates for payday lenders, House Bill 84. 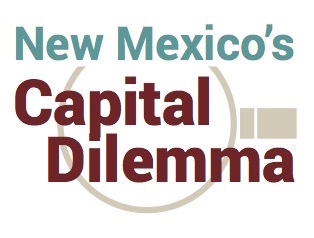 Think New Mexico’s proposal to reform the infrastructure funding process by appointing a commission to vet projects, House Bill 307 and Senate Bill 33. Requiring lawmakers to disclose how their specific capital outlay allocations were spent, Senate Bill 48 and House Bill 173. Archiving House webcasts, House Rule 1 passed 62-0. A constitutional proposal to give judges more flexibility when assigning bond to those accused of crimes, Senate Joint Resolution 1. Sandra Fish, Gwyneth Doland and Trip Jennings contributed to this report. Capital outlay appropriations are a little bit like that Rolling Stones song – you can’t always get what you want. Sometimes, you might get what you need. In most instances, you get way less than what you requested.